When talking simple, casual games, one usually thinks about Ketchapp. 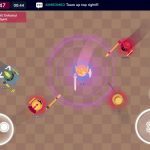 But if you want something that offers a little more, while still remaining in the casual vein, you might want to try BoomBit’s games, such as its latest title, Slingshot Rush. 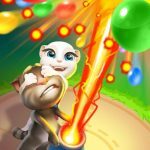 This is an iOS-only game (for now) where all you’ve got to do is to swing around like a slingshot, and use the game’s simple one-touch controls to “travel as far as possible.” As you go along, you can collect diamonds and unlock characters. That makes this game simple enough, but one of the main selling points here is that you can take part in turn-based multiplayer mode, where yo can test your skills against random players or against your friends. Those are just some of the features of this new endless game, but how can you score higher, how can you beat more human opponents, and how can you earn more gems/diamonds? We’ve got just what you need, with these Slingshot Rush tips and tricks. 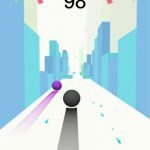 Slingshot Rush comes with one-touch controls, and here are the fundamentals of using these controls to your advantage. Tapping, first of all, would allow you to slingshot onto the closest point of connection. That means you may want to try quick, short taps as opposed to tap-and-hold motions; that’s an easier way to score points for free, even if quick tapping motions make it seem like you’re moving around arbitrarily. You may also want to hold on a bit, maybe a split-second or so, in order to get best results. Every now and then, the game will reward you with 100 free diamonds, though the interval between free gifts will keep increasing as you open more of these freebies. You can optimize this process by setting your game notifications in such a way that you’re notified whenever you’ve got free stuff to redeem. And as a bonus tip for collecting diamonds, you can shoot your sling closer toward the middle, as they often appear in the middle right part of your screen. Timing will be key here, but it’s easy enough for you to get it right after a little practice. Whenever you want to earn more gems in the game in order to unlock more characters, it does help to change your focus. That means focusing on the goal of collecting more gems, rather than compiling a higher score. As long as you follow the above tip and play your slingshot down the middle, you should have little to no problem stockpiling gems in the game. These would be our tips and tricks for Boombit Games’ new mobile title, Slingshot Rush. 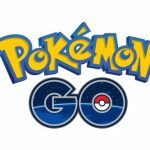 In case you know additional hints for this exciting iOS game, be sure to let us know!